Real estate owners, investors, brokers, appraisers, and lenders have one question in common – what is the project worth? Regardless of size, this is the core metric for gauging the viability, sustainability, and overall profitability of any real estate development project. In most instances, professionals rely on some version of income-based approach to value commercial real estate projects. While many experts adhere to a Discounted Cash Flow methodology, it is the calculation of the reversion valuation that ultimately drives the IRR of most development projects. 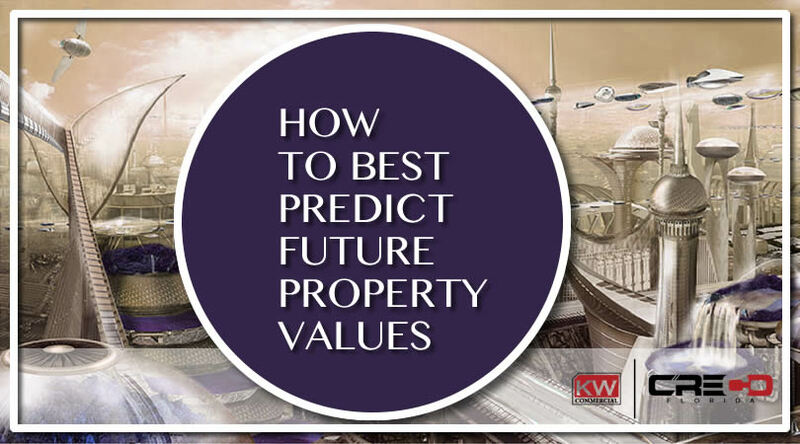 How can any real estate professional predict what a property will be worth at the end of a long-term holding or development period? At some point, a terminal capitalization rate is applied to the end-of-period Net Operating Income to establish a property reversion valuation. In other words, how much cash will the sale of the assets generate at the end of the holding period? In an attempt to accurately identify the value of a project at the end of a holding period, stakeholders must confidently establish a reliable cap rate to apply to the end-of-term NOI. While there is significant uncertainty in the future, two things will be certain about the end of any holding period – 1) the buildings will age, and 2) the markets will change. Therefore, it is critical that any participant in the real estate development process compile and analyze as much data as possible to accurately pinpoint a terminal capitalization rate for the project. Real estate professionals must scrutinize data to determine property supply and demand metrics for each category of space as well as for the services and expenses assumed to be related to the operation of each area. How will demand drive revenues, and how will that same demand drive up the cost of operating property generating the revenues? Can the current market trends support increased supply over the assumed holding period, or is the proposed development an outlier in creating more space than the surrounding market can bear? Once this data is utilized to generate proper operating figures, the capitalization rate must be produced using investment focussed data. This financial analysis becomes a macroeconomic endeavor that may never be adequately assessed by even the most experienced developer. Therefore, it is recommended that best efforts be made to match the terminal capitalization rate to the current rate of the market, keeping in mind that it may be a safer test for the development to tick the terminal cap rate up a bit. If the event returns are still advantageous to investors with a slightly increased terminal capitalization rate, the use of a dynamic spreadsheet can help to stress test the development project to establish the highest terminal cap rate that would still provide needed returns to investors. In other words, a developer should ask "at what terminal cap rate does this project not make sense?" If the answer is greatly below current market data, the developer should re-assess the viability of the project.